It’s place of origin is the lower Andes, what is today Ecuador, Peru and Bolivia. Archeology has produced no information on its early history there, it’s speculated that pre-Columbian peruvians simply gathered the wild fruit in season and made no attempt to improve it. The most likely explanation for its spread to Italy was the theory that the Spaniards brought seeds to Spain, then passed them on to Naples, which was under Spanish rule in 1522. While the Spaniards accepted the new plant passively, the Italians on the other hand were quite aggressive about it. By the renaissance it had spread as far as Poland. The rest of Europe distrusted the tomato as food for quite a while, as late as 1760 is was treated as more of an ornamental plant, even in America. It was regarded as poisonous by many early botanists, probably because it was recognized as a member of the family Solanaceae (Nightshades), which includes several toxic plants. One of the first person to grow tomatoes in the U.S. was Thomas Jefferson, possibly getting his seeds from an Italian painter in Salem, Mass. His neighbors were afraid to taste them. By 1782 Jefferson said the plants were common in the private gardens of Virginians. 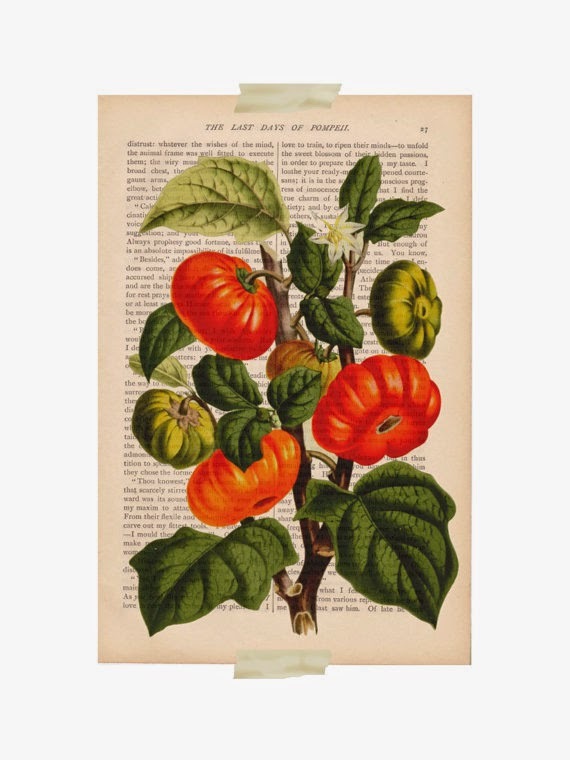 And by the early 1800’s Americans seemed to have discovered the joy of a eating fresh, vine ripe tomato!